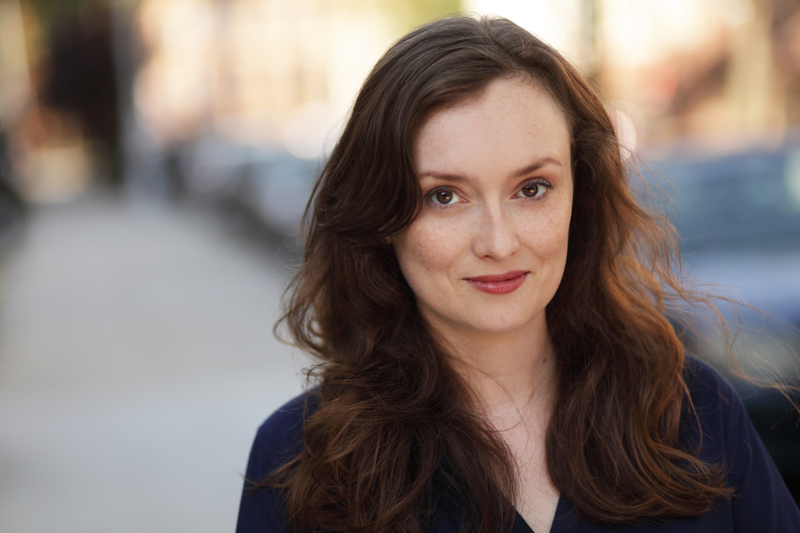 Call for Submissions from NYC’s Women Playwrights! 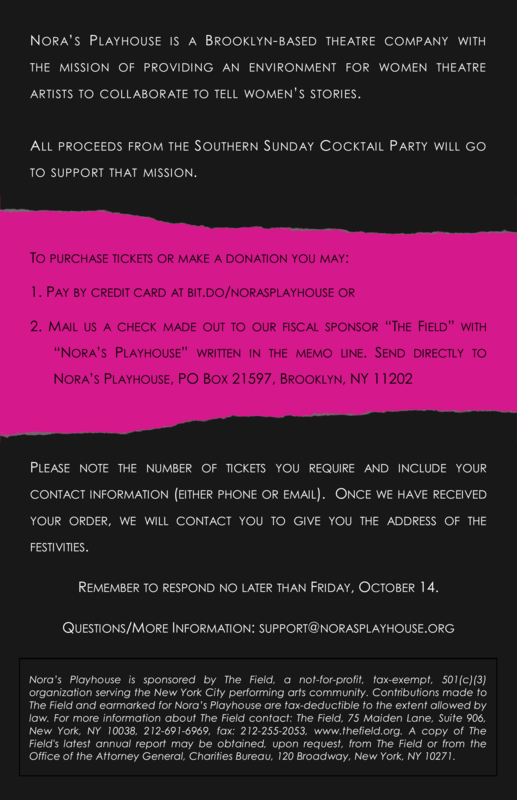 Please email a copy of your submission along with a brief cover letter to Julie at submissions@norasplayhouse.org. Join us on October 23rd in Brooklyn! 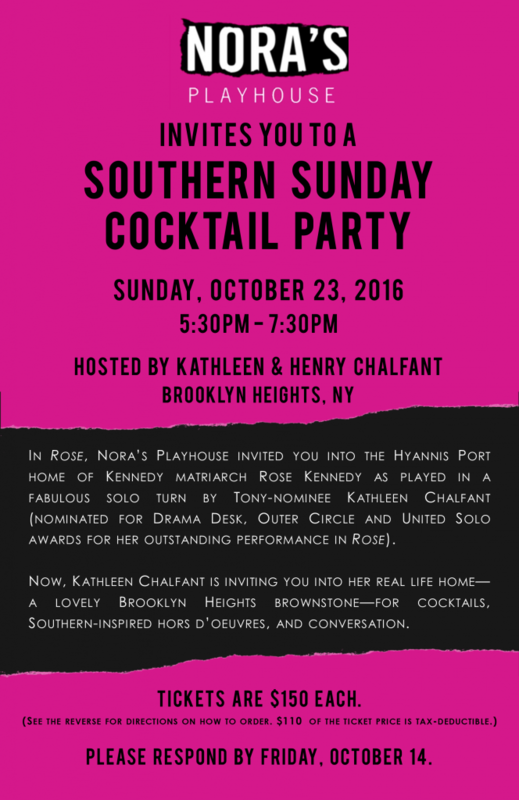 We hope you can join us on Sunday, October 23 at a very special event, hosted by the multi award-winning actress Kathleen Chalfant at her lovely home in Brooklyn Heights. At the Southern Sunday Cocktail Party, we’ll be enjoying Southern-style hors d’oeuvres like mini country ham biscuits, cheese straws, and deviled eggs; plus wine and beer compliments of Sofia Wine Bar and Simple Brewing Company. For entertainment, in addition to sparkling conversation, we’ll have the musical stylings of jazz pianist Liz Magnes and short readings from two plays currently in development at Nora’s: Catherine Filloux‘s Eternity Canyon and Martha Pichey‘s Ashes & Ink. All proceeds will go to support our mission of providing an environment for women theatre artists to collaborate to tell women’s stories. To buy tickets or make a donation just use this link: bit.do/norasplayhouse. If you have any questions, please don’t hesitate to email. We look forward to celebrating with you on Sunday, October 23rd in Brooklyn!